ITTI-Nashville was established to fill the widening gap between the Business Internet and the Business Community here in Nashville. The Introduction concept began during a conversation with a local business owner who was continually frustrated personally and for her clients who couldn't get common-language discussions going with web development people. Now this service is available for anyone who wants to turn the internet into a business asset. Contact us for a free one hour consultation: web@thegreengroup.org. Chris Green began as a web designer and developer in 1997, the early days of open web development, and started his first online business in 1999. Since that time his skills as a communicator of internet technology became increasingly called upon as the concepts and terminology became needlessly arcane. With advice and suggestions from friends, colleagues, and clients, he started Introduction to bridge the ever-widening internet literacy gap. From the beginning Chris has focused on developing a rapport with clients and avoiding the industry tendency to "talk tech." Instead he has made it a priority to help businesses "dream the dream" of what they want out of their involvement with the web and not get bogged down in the latest discussions of the hottest apps, platforms, and services. 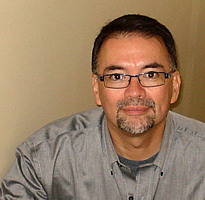 He developed his training approach while teaching web development at Eastern University. He has worked with government advisory organizations, universities, companies, and entrepreneurs both here and abroad. He and his family are proud to call the Nashville area home.